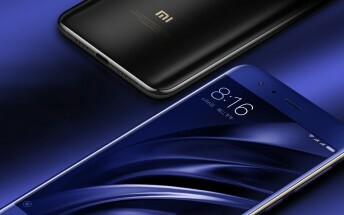 The Xiaomi Mi 6 is getting showered with attention - over 1 million people have registered their interest on JD.com, the Chinese online retail giant. At the time of writing, the numbers have crossed the 1,250,000 mark and are still growing (do note that registrations are not the same as pre-orders). 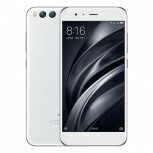 The flagship goes on sale tomorrow, when locals will be able to snag one starting at CNY 2,500 for the 6GB/64GB model. 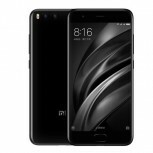 It’s CNY 2,900 if you want 128GB storage instead. Available color options are Black (with a glossy finish or a special ceramic), Blue and White. 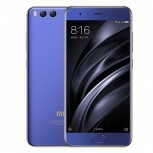 The Xiaomi Mi 6 is a serious competitor in the top echelon of Android phones with its dual cameras (12MP with OIS, 4K video recording), Snapdragon 835 chipset (running customized Android 7.1) and a big 3,350mAh battery.